The 9th International Exhibition for Paper, Board, Tissue, Printing & Packaging Industry that will be held on 24-26 October, 2017, Cairo International Convention Center, Cairo – Egypt Halls (1,2,3). This event showcases products like products and services for the exchange of ideas, industry information and solutions; and a unique opportunity to engage with the market leaders and its stakeholders etc. in the Paper and Paper Products industry. 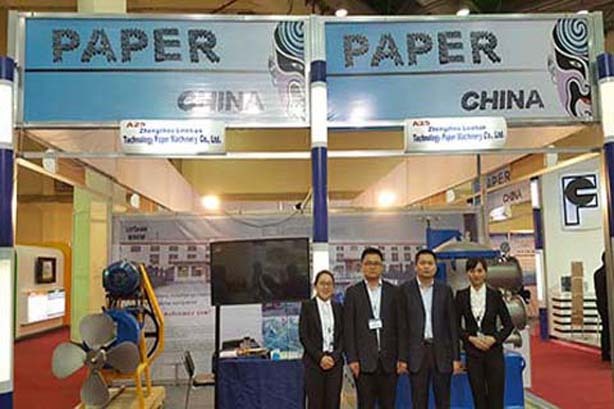 Leizhan as the leader of paper machine manufacturer in China, we have rich experience and professional team to provide high quality products for paper maker, this time our manager and engineer have arrived at Cairo, Egypt to attend this exhibition, if you have any need or question, please let us know, our manager can visit you to solve your questions.